Former Chief Minister and Sagalee MLA Nabam Tuki also paid his tribute and condolences to the brief family members. In a condolence message Tuki paid his heartfelt condolence over the loss of Air force pilot (Flying officers) and IRBN (state police) untimely demise due to helicopter crash at Sopo Yuha near Hostalam between Toru and Yupia on July 4 while carrying out yeoman service for the state by evacuating the stranded passengers of East Kameng and Sagalee area due to monsoon fury, landslide and blockage on Trans Arunachal Highway. 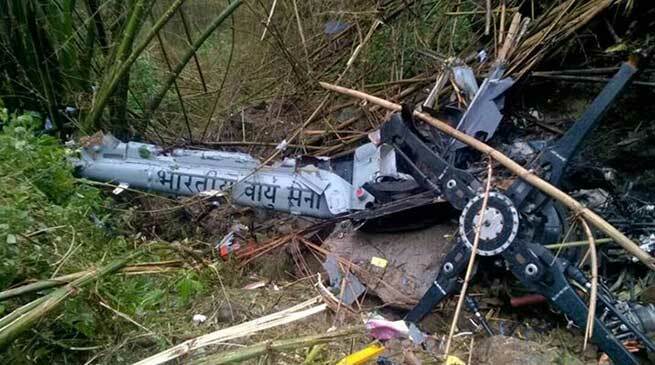 Their loss is irrespirable to the state and country as their services were taken since before and even after but it have given a great pain that the helicopter crash have brought tears in many family which would never dry which will be remembered for long. Tuki also thanks the Papum Pare district administration , ADC Sagakee, CO Toru, SP Tumme Amo, DSP Neelam Nega, team of NDRF, SDRF, ITBP, IRBN, APP, IA commandos personnel’s and public of Toru circle particularly Kheel, Hostalam, Borum and Yupia for their active support in locating the helicopter accident site and in locating debris.